Khaled Mishaal, political bureau chairman of Hamas, arrived in the Turkish capital Ankara on Friday night on an official visit. Mishaal is scheduled to attend the ruling Justice and Development Party (Turkish: Adalet ve Kalkınma Partisi) congress and deliver a speech. He is also slated to meet a number of Turkish officials. 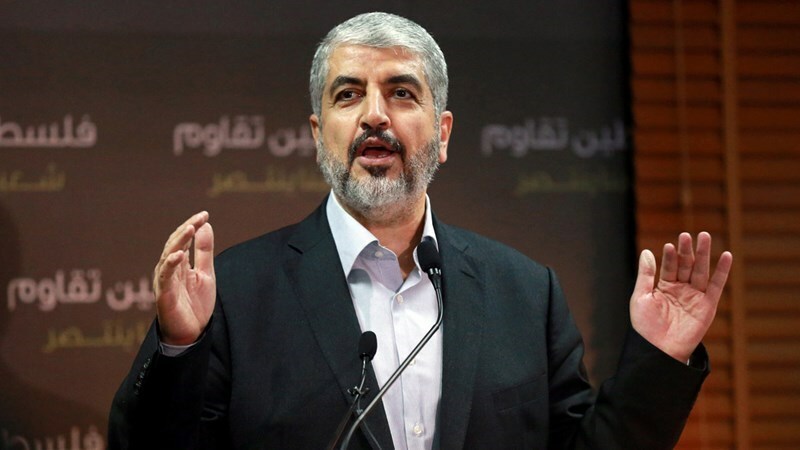 Mishaal is heading a senior Hamas delegation including political bureau members Dr. Mousa Abu Marzouk, Ezzet al-Resheq, Sami Khater, and Jihad Yaghmur. In a meeting held in Beirut on Thursday between member of Hamas’s political bureau Mousa Abu Marzouk and a DFLP delegation headed by Fahed Suleiman, the two parties stressed the urgent need for activating and developing the PLO provisional leadership to carry out its responsibilities as stipulated in the reconciliation agreement. They also called for the re-formation of a unity government that would prepare for and oversee the presidential and legislative elections and work on lifting the siege on Gaza and ending security coordination with the occupation. On the other hand, the two delegations discussed ways to halt the Israeli threats and Judaization schemes in occupied Jerusalem. They also called on donor countries to meet their pledges and to work on alleviating the UNRWA funding crisis. Concerning refugees’ issue, both parties called on the Lebanese government to improve its policies towards the Palestinian refugees and to respect their rights of employment and property ownership. The Palestinian cause is still and will always be the central issue for the Palestinian people everywhere, they stressed. Ongoing attempts to dampen the spirits of the Palestinian people shall never see the day, political bureau member of Hamas Ezzet Resheq said Friday. The senior Hamas leader said in statements posted on his Facebook page that the U.S. treasury’s decision to impose sanctions on prominent Palestinian activists only serves Israeli schemes to quell pro-Palestine activism and discloses the U.S. complicity in Israeli terrorism against the Palestinian people. Earlier, a couple of days ago, the U.S. administration announced its decision to blacklist three senior Hamas leaders as terrorists, in a move that sparked wide criticism both by Arab and American activists. 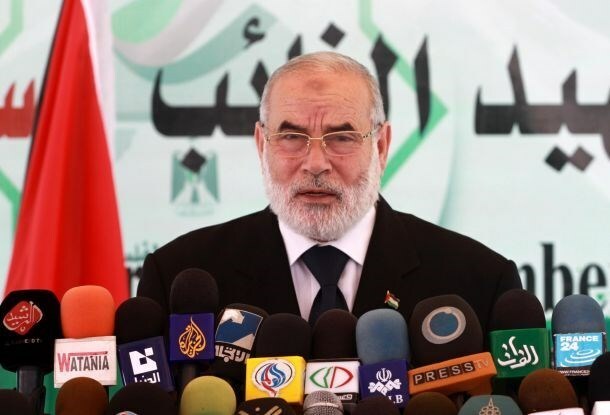 70 MPs of the Parliamentary Change and Reform Bloc of Hamas stressed their refusal of holding the upcoming Palestinian National Council (PNC) session. The MPs said in a statement on Tuesday: "We stress our refusal of holding this session in particular, but we don't reject the principle of participation in institutions in general especially the PNC"
They urged for a cancellation of the invitation to this session to avoid further internal division and fragmentation. They also proposed an immediate meeting for the provisional leadership framework of the PLO in accordance with the reconciliation agreements, so as to perform its agreed upon role and to ensure fair representation of the Palestinian people, programs and institutions (the provisional leadership framework was agreed upon in Cairo 2005, and has not met but once). 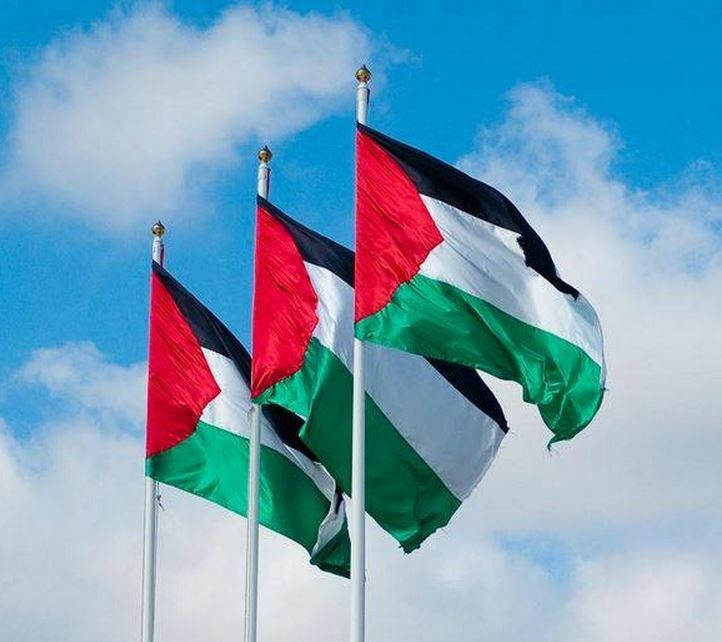 They confirmed the need to form a unity or consensus government, then to move on to the next step of holding the Palestinian Legislation Council, to expedite preparations for general elections for the National and Legislative Councils and for the Presidency simultaneously at home and abroad. They also called for conducting comprehensive municipal and union elections as soon as possible, to follow up the procedures of joining international institutions, and to strive hard to bring the Zionist war criminals to the International Criminal Court. They pointed to some wrong policies such as neglecting some PLO institutions and using them only to restrict an authority, because of that the MPs will consider whatever decisions are made in that session, if held, as nonbinding. The MPs pointed out that the conditions and reasons for holding this session are clear to everyone, and the only real goal is to endorse a political trend based on unilateral decision-making. They charged that the PNC session is a clear and explicit coup against all the signed agreements, Cairo 2005, Makkah, and Cairo again in 2011, Doha and the Shati, and the consensus government 2014, to end the division and unify the Palestinian people. They stressed that undue haste without coordination and consultation of the partners, and without adequate preparation to insure attending the largest possible number of members of the council, and without preparing a comprehensive agenda that befits the seriousness of the situation and the position of the National Council and its role, demonstrate an absolute disregard for partners; other than being in violation of rights and laws. They further questioned whether Ramallah was the best location for holding the session in the light of the restrictions by the Israeli occupation. The PNC presidency later said that the session, originally scheduled for mid September, would be postponed for three months. The U.S. Treasury Department on Thursday sanctioned four Hamas officials and financiers and a Saudi Arabia-based company for allegedly providing financial support for the Palestinian resistance, Reuters reported. Among those named by the Treasury Department were Salih al-Aruri, a Hamas political bureau member who it said was responsible for Hamas money transfers, and Mahir Salah, a Hamas financier based in Saudi Arabia and dual British and Jordanian citizen who the Treasury said leads the Hamas Finance Committee in Saudi Arabia, according to the sources. Among those mentioned in the list were Abu Ubaydah Khayri Hafiz al-Agha, a Saudi Arabian citizen, and Mohammed Reda Awad, an Egyptian national. The Treasury Department also sanctioned Asyaf International Holding Group for Trading and Investment, a Saudi Arabia-based company that it said is managed by al-Agha and used to finance Hamas. Earlier Tuesday, the U.S. administration announced its decision to blacklist three senior Hamas leaders as terrorists, in a move that sparked wide criticism both by Arab and American activists. The United Nations General Assembly voted, Thursday, in an overwhelming majority for raising the Palestinian flag at the United Nations, despite aggressive opposition led by the United States and Israel. The UN proposal achieved 119 votes out of the 193 UN member states, while only eight countries, headed by the United States and Israel, voted against it. The resolution states that flags of all non-member observer states, including Palestine, "shall be raised at the UN headquarters, and United Nations offices, followed by flags of member states." 45 countries, including most of the countries of the European Union, abstained. Sweden, Italy, France, Spain, Slovenia, Ireland, Malta, Poland, Luxembourg and Belgium, of the European Union, voted for the Palestinian resolution. Germany, Finland, The Netherlands, Austria and Cyprus where among the abstaining European countries. Among world countries that voted in favor of the Palestinians are Bangladesh, Brazil, Cambodia, Cuba, Chad, Salvador, Indonesia, Malaysia, Mali, Niger, Pakistan and Turkey. The approved resolution is based on the November 2012 General Assembly vote that recognized Palestine as a "nonmember observer state," but did not lead to raising the Palestinian flag inside the UN in New York, or even on its outside plaza. Prior to the vote, ambassadors of various countries delivered speeches in support of the legitimate Palestinian rights, while the United States said it would vote against the resolution. The U.S. said "the vote against this resolution does not mean the U.S ignores the Palestinian rights", according to the American statement. The resolution states that nonmember states that carry observer statuses can have their flags raised in the UN, its offices, and can have diplomatic missions at the UN headquarters. It grants the UN Secretary General twenty days to ensure its implementation; Palestinian President Mahmoud Abbas will be visiting the UN on September 30. "This move is symbolic, but it is a step forwards to solidify the pillars of the Palestinian State in the international arena," Riyad Mansour, permanent Observer for the State of Palestine to the United Nations in New York, said. Mansour added that the move would potentially give the Palestinians some hope that the International Community has not abandoned them, and supports their legitimate rights of statehood and independence. "This resolution is like a small candle of hope to the Palestinian People," he stated. The Palestinian official also said the current situation in Palestine is gloomy, while the Gaza Strip continues to suffocate under Israeli siege and ongoing aggression. Hamas slammed Tunisia and Egypt for voting in favor of an Israeli delegate at the Mediterranean Handball Federation, branding normalization with the occupation a scandalous move. 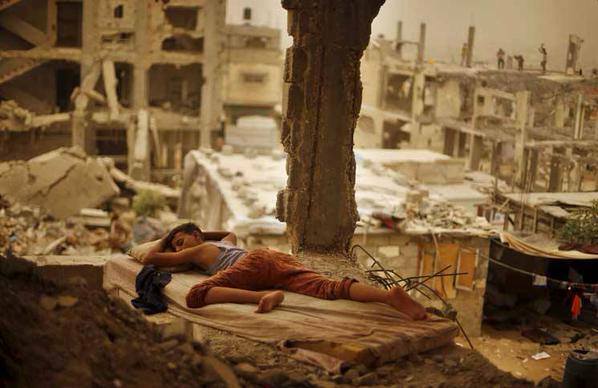 “Normalization with the Israeli occupation is just unthinkable, no matter its form. Not only does it hurt the Palestinian people and affect the fairness of the Palestinian cause, but also whitewashes Israel’s ugly image in the world,” Hamas spokesman Hosam Badran said in press statements. He expressed Palestinians’ disappointment over normalization with the Israeli occupation, most recently in the sports field, at a time when Palestinians and their holy al-Aqsa Mosque have been subjected to all sorts of assaults at the hands of this occupation. The Hamas leader urged Arabs and Muslims to mobilize support for anti-normalization campaigns in all fields and to respect the ongoing sacrifices made by the Palestinian people throughout their struggle for national liberation. Earlier, some few days ago, the Israeli handball federation said Egypt and Tunisia voted in favor of the Israeli representative in his position as vice president of the Mediterranean Handball Federation. Speaker of the Palestinian Legislative Council (PLC), Dr. Aziz Dweik, held at an intensive care unit in al-Khalil, said he is recovering from the health disorders that recently affected his body. Speaking in an exclusive statement to the Palestinian Information Center (PIC), Dr. Dweik said he has been hospitalized in an intensive care unit in al-Khalil’s al-Ahly hospital so as to be treated for the breathing difficulties he had been suffering from recently. Medics said check-ups diagnosed Dr. Dweik with tracheitis. For his part, the PLC speaker said he has started to restore his health and get much better. 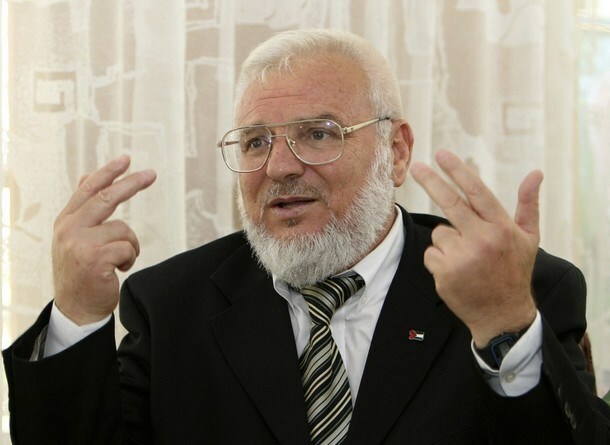 Dr. Aziz Dweik, born on January 12, 1948, is a senior Hamas leader and a prominent anti-occupation activist in the West Bank. He is the father of seven children and had been detained by the Israeli occupation for at least five times. 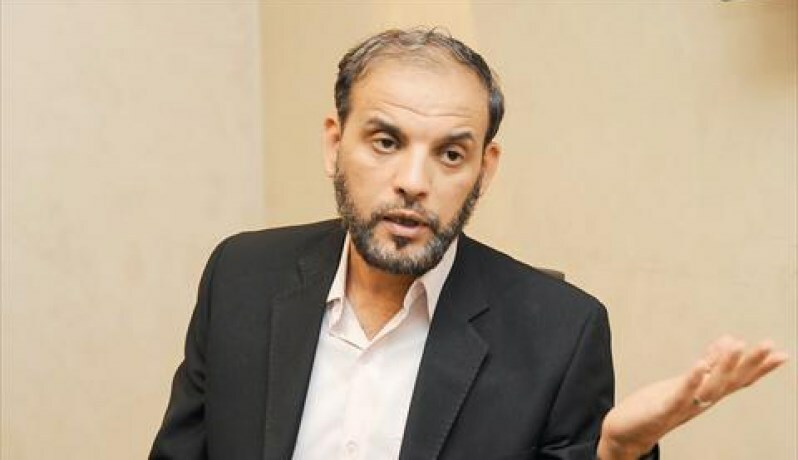 Deputy head of Hamas's political bureau Ismail Haneyya on Thursday met with ambassador Mohamed al-Emadi, head of the Qatari national committee for the reconstruction of Gaza, in his office in Gaza City. Ambassador Emadi arrived on the same day in Gaza through Beit Hanoun (Erez) crossing to inaugurate several projects. 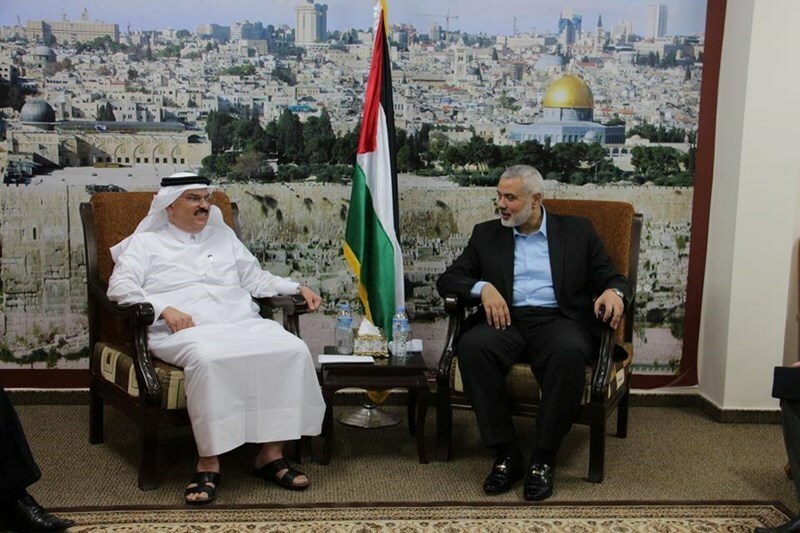 His meeting with Haneyya was attended by officials from Hamas and the Qatari reconstruction committee. 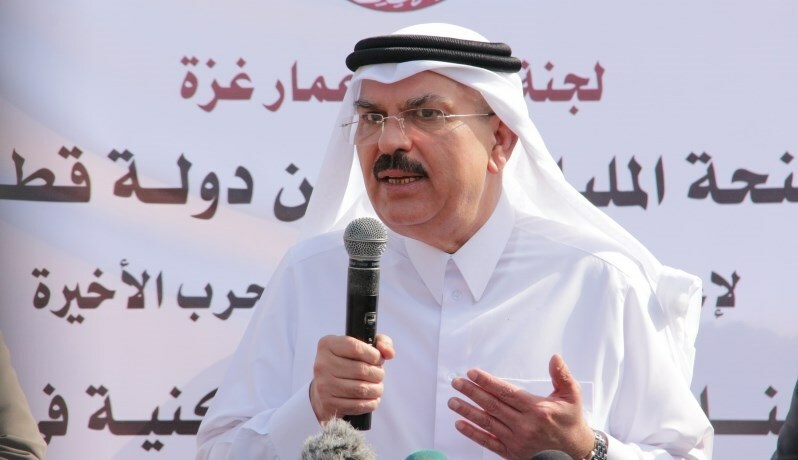 Head of Qatar’s National Committee for the Reconstruction of Gaza Ambassador Mohamed al-Emadi, arrived in the Gaza Strip via Beit Hanoun (Erez) crossing on Thursday. Ahmed Abu Ras, director of the committee's technical bureau, stated that Emadi, who stopped over in Ramallah en route to Gaza, is scheduled to pay a two-week visit to Palestine, mostly in Gaza. The Ambassador Emadi will sign new project contracts with a cost estimated at 60 million dollars. Local sources revealed that Emadi held talks with Palestinian Prime Minister Rami al-Hamdallah in Ramallah about common issues and achievements of the Qatari National Committee in terms of the Qatari accomplished projects and those under construction. Other issues including latest developments on the implementation of the Qatari projects and the acceleration of the base of reconstruction were also brought to discussion. The Issue of power crisis in the blockaded enclave would be discussed in Gaza, the sources pointed out. In Ramallah’s meeting, Emadi acquainted Fatah leaders with the implementation process of some of the Qatari projects, most significant, the construction of 100,000 homes of those completely damaged by a cost estimated at 50 million dollars. In last June during his visit to Gaza, The Qatari Ambassador signed several construction and infrastructure projects valued with a total of 32 million dollars. 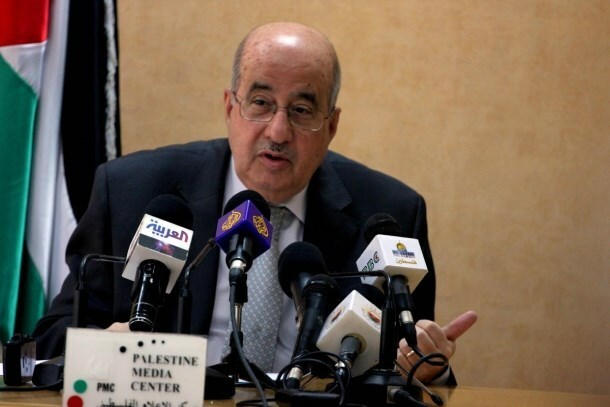 Dr. Ahmad Bahar, First Deputy Speaker of the Palestinian Legislative Council (PLC) welcomed Salim al-Zanoun’s decision of postponing the Palestine National Council (PNC) meeting. He called for forming a PLO temporary leader cadre and to resume the work of the PLC unitedly. In a statement, Dr. Bahar called for accepting Khaled Mishaal’s initiative for solving the Palestinian internal crisis. In a press conference, Head of the PNC Salim al-Zanoun declared postponing the PNC convocation which was to be held mid-September. The PLC first deputy speaker said Mishaal’s initiative has a national unity program which got a Palestinian consensus. He called on the Palestinian President Mahmoud Abbas as well as the PLO Executive Committee and Fatah leaders to accept the initiative. Bahar stressed that Fatah movement and the PLO have to prove their credibility by calling for holding the PLO leader cadre as soon as possible. He underlined that all Palestinian factions, powers and segments should bear historic responsibility at this stage. Dr.Bahar pointed to the importance of serious working on rebuilding and reactivating of the PLO. He stressed that all Palestinian factions should be part of the PLO so that Palestinian efforts would be exerted and unified for the purpose of facing the Israeli occupation. The Executive Committee of the Palestine Liberation Organization (PLO) decided to postpone holding the Palestine National Council (PNC) session, which was to be held mid-September, in Ramallah, the head of PNC, Salim al-Zanoun declared. In a press conference held in Ramallah on Wednesday, Zanoun said that the executive committee decided to postpone the session in order to complete the arrangements for a session that serves the Palestinian cause within the next three months. He added that more time is needed in order to discuss a number of significant issues which require allowing all Palestinian factions to participate in holding national responsibility within the framework of the PLO in its capacity as the only legitimate representative of the Palestinian people. The PNC called for an urgent meeting mid of September for the election of a new PLO executive committee after ten members including the Palestinian President Mahmoud Abbas had resigned. Holding the PNC session drew wide objections from different Palestinian factions. Hamas, Islamic Jihad and PFLP movements objected to it, opining that it runs contrary to what have been agreed upon in the Cairo agreements. They believed it would enhance the internal split and reflect the policy of unilateral decision-making. Hundreds of academic and independent figures also signed a petition demanding the postponement of the session. The Popular International Committee to Support the Gaza Strip launched Tuesday a new support campaign to help Gaza’s poor during Eid al-Adha. Head of the committee Issam Youssef called on the charitable and humanitarian institutions to widely participate in the campaign for offering this year’s Eid sacrifice to Gaza. The campaign aims at giving a sense of joy for the children of Gaza in order to help them forget their suffering due to the Israeli siege at least for a while, he explained. The campaign, he continued, includes organizing community plans to celebrate the Eid day throughout the besieged Strip. Youssef also called for making use of the Eid as an opportunity to offer gifts for poor families. 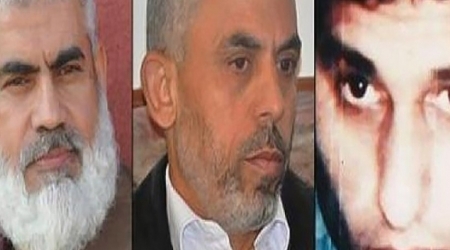 Hamas has slammed a decision by the U.S. Department of State designating Hamas leaders Yahya Sinwar, Rawhi Mushtaha, and Muhammed Deif, along with the Lebanese ex-prisoner Samir al-Quntar, as Specially Designated Global Terrorists (SDGTs). According to a statement by the U.S. Department of State, the consequences of these designations include a prohibition against U.S. persons engaging in transactions with Yahya Sinwar, Rawhi Mushtaha, and Muhammed Deif, and the freezing of all property and interests of Sinwar, Mushtaha, and Deif that are in the United States, or come within the United States or the possession or control of U.S. persons. Muhammed Deif is the top commander of the Izzedine al-Qassam Brigades, the armed wing of Hamas. During the 2014 Israeli offensive on blockaded Gaza, Deif was the mastermind of Hamas’s defensive strategy. Sinwar and Mushtaha were released from occupation jails in 2011 as part of the Wafa al-Ahrar prisoner swap deal. Samir al-Quntar is a Lebanese ex-prisoner released in a swap deal struck on July 18, 2008 between Hezbollah and Israel. Hamas dubbed the designation unethical and against international law. Meanwhile, senior Hamas leader Salah al-Bardawil told the Palestinian Information Center that such a biased U.S. position has never been unexpected from an administration that has always shown bias to the occupation and strived to cover up its crimes. “The real terrorist is the one who restocked the Israeli occupation with deadly weapons that have killed thousands of innocent women and children and reduced thousands of Gaza’s populated homes into rubble,” he said. He further vowed that the U.S. decision shall never dash the hopes of the Palestinian resistance and people in their national liberation struggle. The US State Department announced, on Tuesday, that three Hamas leaders, along with a Hezbollah spokesperson, have been added to the specially designated global terrorist list, subjecting them to US sanctions. According to Al Ray Palestinian Media Agency, senior commander Muhammed Dief and two freed leaders, Yahya Sinwar and Ruhi Mushtaha, are on the list. The move will freeze any assets they may have in US jurisdictions and prohibit Americans from doing any business with them. Three of the four had been previously arrested by Israeli authorities for attacks on Israelis, but were later released in prisoner exchanges, including the 2011 swap that led to the release of kidnapped Israeli soldier Gilad Shalit. Hamas denounced the decision as "immoral and against international law" on its Twitter account, accusing Washington of "backing Israeli terrorism". 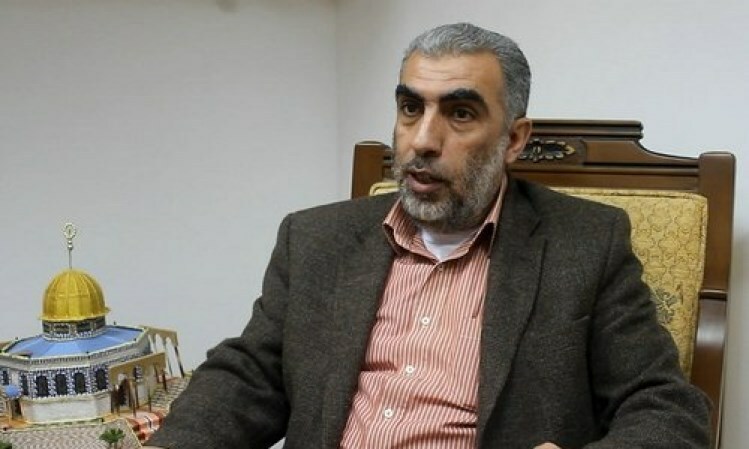 Separately, Hamas spokesman Sami Abu Zuhri said that blacklisting senior figures would not stop the group from succeeding in their national duty of protecting their people and liberating Palestine. Hamas was democratically elected in 2006, with the nomination of Ismail Haniyeh as Prime Minister over the Gaza Strip. The West Bank is controlled mainly by Fateh leadership. Deputy head of the Islamic Movement in the 1948 occupied territories, Sheikh Kamal al-Khatib, called on the Palestinian Authority (PA) to defend the holy al-Aqsa Mosque and thwart Israeli intents to divide it between Israelis and Muslims. He attributed ongoing escalation in Israeli Judaization schemes to the PA-Israel security coordination in the West Bank, saying such a process rather aims to dampen the spirits of West Bankers. Another reason for simmering escalation is, according to Khatib, is the state of unparalleled turmoil rocking the Middle East and the Arab region as a whole. He further spoke out against the fanatic doctrines disseminated among the Israelis by the occupation government. Khatib urged Muslims to pool resources and to mobilize mass support for al-Aqsa and Jerusalem before it is too late. 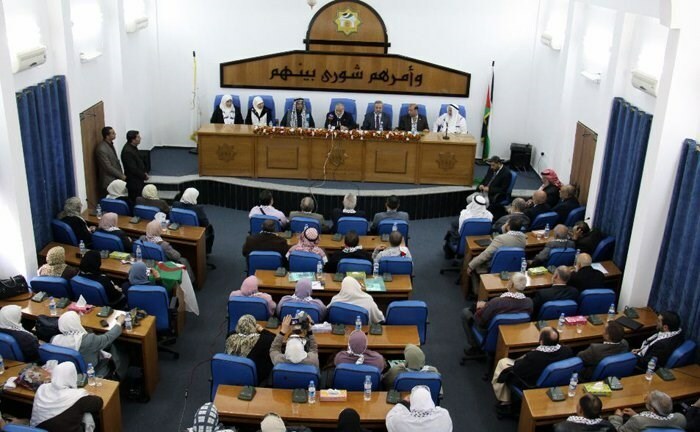 The Executive Committee of the Palestinian Liberation Organization (PLO) decided, Monday, to postpone holding the convocation of Palestinian National Council (PNC), which was to be held mid-September, in Ramallah. Al Ray reports that Dr. Hanan Ashrawi, a member of executive committee, said to Anadalou news agency that the executive committee addressed the head of PNC to postpone the convocation, in order to complete the arrangement for a session that sereves the Palestinian cause. She added that the committee held a consultative meeting, headed by PA president Mahmoud Abbas, to discuss a number of issues and, most prominently, the requirement for holding a successive council, ending the political split, forming a national unity government, and the holding of legislative and presidential elections. She explained that the committee submitted a request to the head of PNC, Saleem al-Zanoun to postpone the meeting. 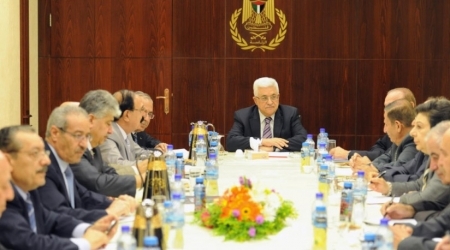 Abbas' call to hold the PNC meeting drew wide objections from different Palestinian factions. Hundreds of academic and independent personalities also signed a petition demanding the postponement of the meeting. They explained that the goal of holding the meeting is to relieve some of the executive committee members who constitute the opponents of Abbas, while the PLO and Fateh rejected these claims. Hamas leader Khaled Mashal said, in a press conference in Duha, that holding the National Council by its own initiative has negative impacts on the Palestinian cause, and would fuel internal division. He called on the leadership of the PLO to convene, and to study the current situation with various Palestinian issues, stressing on the willingness of Hamas to hold the meeting in any Arab country. The Palestinian National Council is the legislative body of the Palestine Liberation Organization (PLO) and elects its Executive Committee (PLO EC), which assumes leadership of the organization between its sessions. The PNC is the highest authority in the PLO, responsible for formulating its policies and programs. It serves as the parliament for all Palestinians in and outside of the occupied Palestinian territories, it represents all sectors of the Palestinian community worldwide, including political parties, popular organizations, resistance movements, and independent figures from all sectors of life. 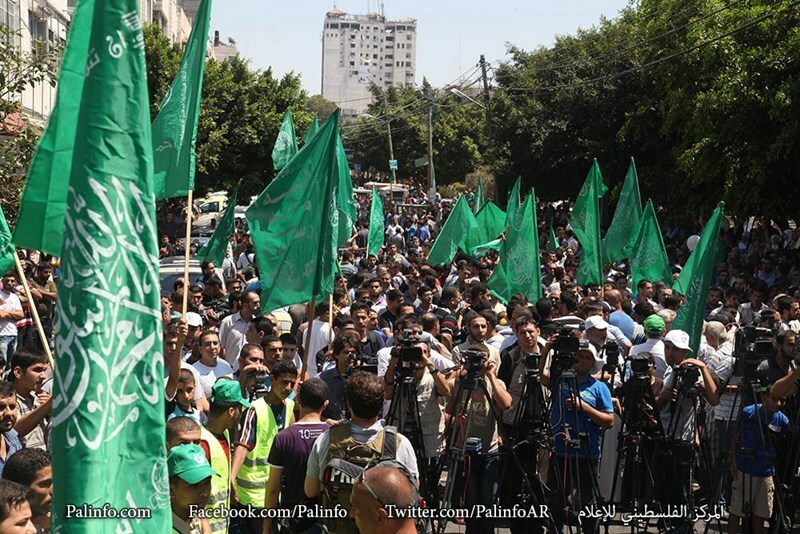 Islamic Resistance Movement, Hamas, denied banning the travel of Palestinian National Council’s members who are to attend the upcoming PNC meeting mid of September. 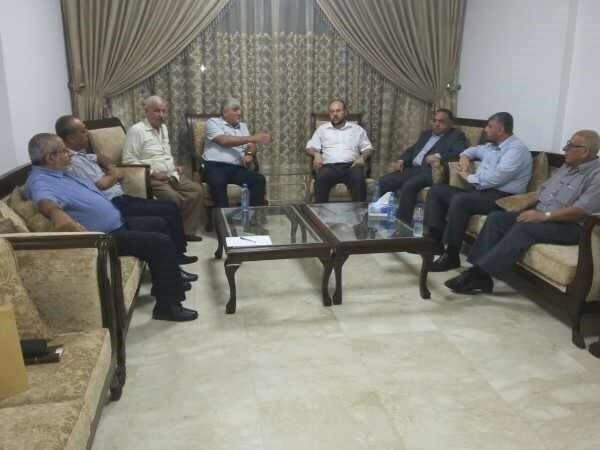 Hanna Amire, member of the PLO Executive Committee, said on Monday morning that Hamas decided to bar members of the PNC from leaving Gaza to attend the meeting in Ramallah. 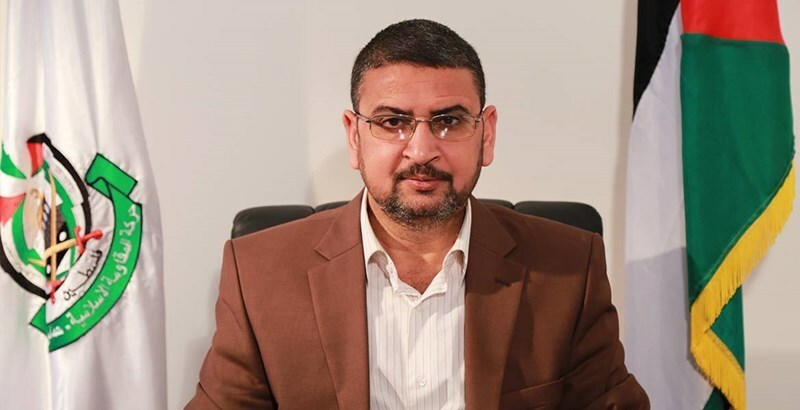 However, Hamas spokesman Sami Abu Zuhri said, in a statement on Monday, “on the contrary, Hamas did not object to the travel of any of the PNC members, which is what has been said to the Palestinian factions in Gaza”. Hamas, meanwhile, called for canceling the upcoming PNC meeting which, if held, would entail many negative repercussions. Political bureau chief of Hamas, Khaled Mishaal, called for a “revolution of anger” in protest at Israel’s sacrilegious schemes against the holy al-Aqsa Mosque, vowing that spatio-temporal division of the site shall never see the day. Speaking at a Monday press conference in the Qatari capital Doha, Khaled Mishaal spoke out against Israeli intents to divide the Mosque between Muslims and Israelis, calling on Jerusalemites and the Palestinian resistance to stand their ground in the face of Israeli preplanned terrorism. “What is required right now is to give free rein to the Palestinian resistance so as to defend our holy al-Aqsa,” he stated. He said Muslims have run out of patience as regards Israeli Judaization schemes at al-Aqsa. “If we do not join forces for the sake of al-Aqsa for whom shall we do so?” he said addressing Fatah movement. “You’d better not mess up with Muslims’ and Palestinians’ anger,” Mishaal, meanwhile, warned the Israelis. Mishaal pushed for postponing a proposed meeting of the Palestinian national council. “Calls by the Palestinian Authority (PA) to convene the national council meeting are unilateral and only deepen the internal rift,” he said. Hamas Chief voiced hope that the PA Chairman, Mahmoud Abbas and the Fatah party would take Hamas’s voice and that of other national parties into consideration. He called for a national dialogue that would culminate in the implementation of what had been agreed upon in Cairo and Doha and would set the stage for legislative and presidential elections. 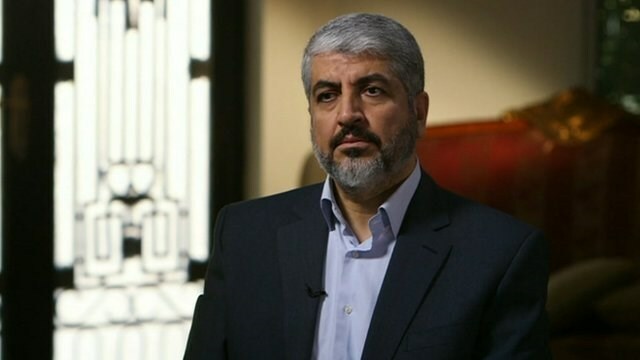 As regards a Gaza ceasefire, Mishaal said negotiations for a long-term truce have reached a deadlock. He stressed that any deal by Hamas will only be struck in accordance with national will and compromise, adding that nobody has the right to monopolize the act of decision-making.